Reacting to Russia supporting Taliban's calls for withdrawal of foreign troops from the country, Afghanistan said that Kabul has the sovereignty to decide the matter and that no one else has the right to dictate terms or issue instructions regarding the same. The remarks were made by Presidential spokesman Shah Hussain Murtazawi, reports Khaama Press. He said that the issue relates to the Afghan nation and it is up to the Afghan Government to decide regarding the presence of foreign forces or forces belonging to international allies. This comes as the Russian special envoy for Afghanistan Zamir Kabulov earlier endorsed Taliban militants group's call for the withdrawal of all foreign forces from Afghanistan. "Of course it's justified" for the Taliban to oppose the foreign military presence," Kabulov said during an interview. Kabulov further added "Who's in favor? Name me one neighboring state that supports it." The latest remarks by Kabulov come in the wake of concerns by U.S. officials regarding the growing attempts by Moscow to strengthen links with the Taliban group. 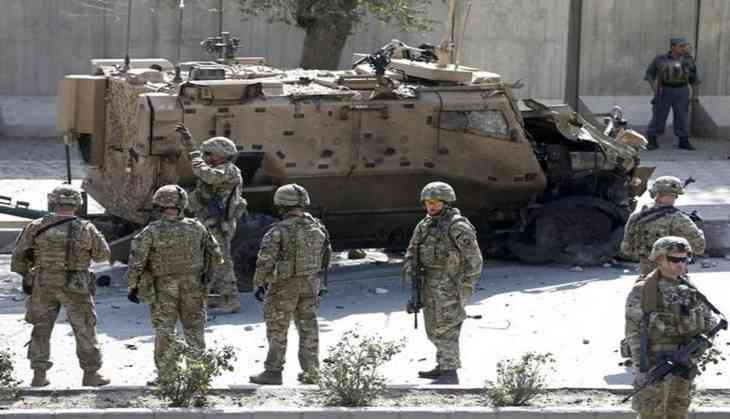 Authorities in US military had earlier accused Moscow of supporting the Taliban insurgency, a claim Russia refuted as an attempt to tarnish the image of the country. READ NEXT >> Salman Khan, to work with a newbie in his next?